The Mountain Goat Run is operated by the Mountain Goat Run Foundation, Inc., a non-profit company, with support from the City of Syracuse, The Syracuse Track Club, Fleet Feet Sports and many fine local, regional and national sponsors. The Mountain Goat Run has experienced steady growth in participation, sponsorship and community interest. Last year over 3,600 people participated in one of the Mountain Goat Events. The Mountain Goat Run is fortunate to have over 400 volunteers each year that make it possible to conduct the event. 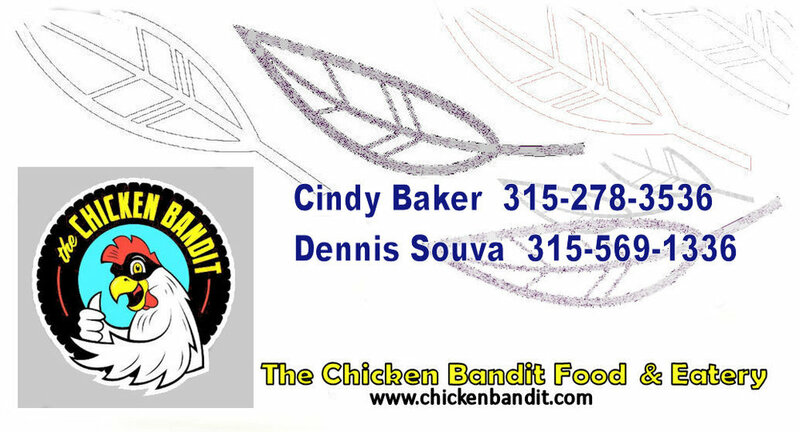 The Chicken Bandit Food Truck & Eatery will be serving it's award winning food from 9:00AM until 3PM!